I Love the Panchen Lama is a new webpage on the iheartibet website, that includes background information, an embedded music video by Sonam Tashi, a link to dedicated poems by Woeser (translated by High Peaks, Pure Earth), a message board and a link to an urgent action to United Front Minister Du Qinglin. Please visit this page and leave a personal message for Gedhun Choekyi Nyima as well as take part in the urgent action. The urgent action email (the text of which can be seen and copied at the end of this email) is available both through the Panchen Lama page above or by using the following link http://org2.democracyinaction.org/o/5380/p/dia/action/public/?action_KEY=2547. Please promote the urgent action via either weblink as far and wide as you can. Tenzin Delek Rinpoche Petition: we have had numerous requests from Member groups to continue with the collection of signatures for this petition as groups believe they can collect many more. We are delighted with this and encourage all groups to collect more signatures during any of your activities. We have also been given some new audio material which we are making into a video, as a way to promote the on-line petition and we will be releasing this very shortly. - Press China for information about the status of Dhondup Wangchen's (Ch: Dunzhu Wangqin) appeal and express concern for the sentence that he has been given. If you have received any feedback from the embassy or your governments please let us know as soon as possible. 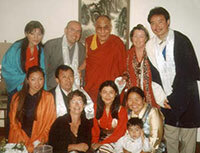 Gedhun Choekyi Nyima, Tibet's 11th Panchen Lama, will turn 21 on 25 April 2010. He and his family have been missing since the Chinese authorities abducted them in May 1995, when Gedhun was just six years old. Despite numerous requests by foreign diplomats and United Nations representatives for verification of his well-being and whereabouts, no access has been given to Gedhun or his family for almost 15 years. 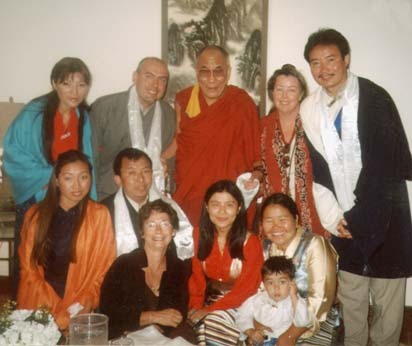 Most recently Padma Choling, Governor of the Tibet Autonomous Region, stated "As far as I know, his family and he are now living a very good life in Tibet". To confirm this, we call on you to allow an independent expert to visit and verify the wellbeing of Gedhun Choekyi Nyima and also to verify that he and his family are free to travel wherever they wish. We also urge you to deliver the message below to Gedhun on the occasion of his 21st birthday. 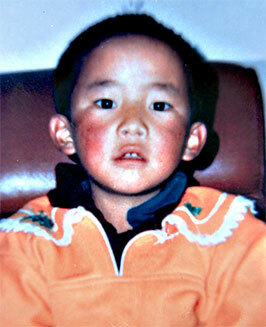 "21st Birthday Greetings to you, Gedhun Choekyi Nyima, 11th Panchen Lama of Tibet. Our thoughts are often with you and we long to see you free." The mission of BAFoT is to study, promote interest in, and actively preserve Tibetan culture in all its aspects; to educate the general public in matters pertaining to Tibet and the Tibetan people; and to provide assistance to Tibetans. Dhondup Wangchen Campaign: "Unchain The Truth"
Founded in 1983, Bay Area Friends of Tibet is a non-profit, tax-exempt 501(c)(3) organization. BAFoT is primarily supported by the generous contributions of its members and some foundation grants. Volunteers have always played a crucial role in BAFoT's success.